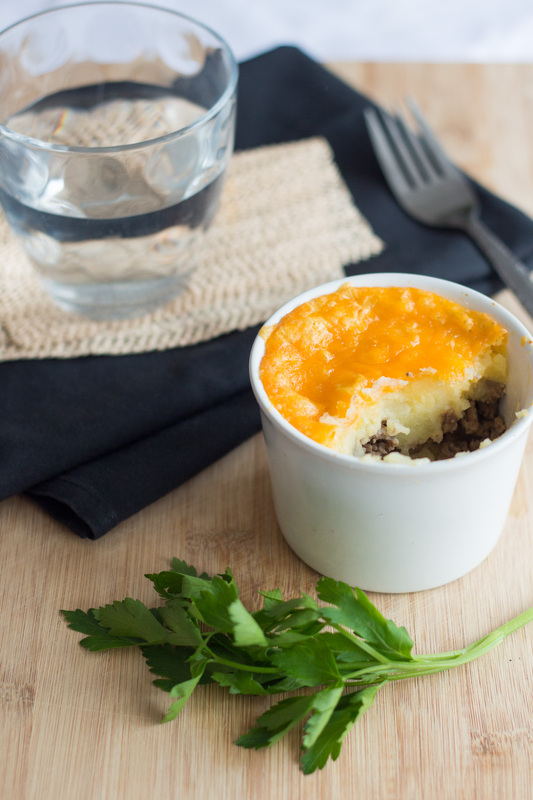 Shepherd pie or Hachi Parmentier? It’s a perfect purée… ok fine I’ll stop speaking French ahah! Where was I? Oh yes, it’s a perfect mashed potatoes with the mix of a nicely flavoured ground beef. Garlic, onions and green onions. Simple. So we taste the meat. Really, no covering the taste, just enhancing it. Of course, you’ll add tons of cheese on top because everybody will love it even more. You can present the way you would like. I found that with young kids, they love to have their little portion in ramekins. It make them feel grown-up to have a mini dish just for them. The version in an oven dish works as well too. It brings the family together around a yummy and easy dinner. Comforting too! I mean, have you seen that weather outside? Don’t you want a blanket and go sit on the couch? Go! I’ll bring you that little baby ramekin. I wish I could spoil you like that. For now, I share the easy-peasy steps to the recipe. It’s a no fail. As you may see, there is no peas, carrots or corn. 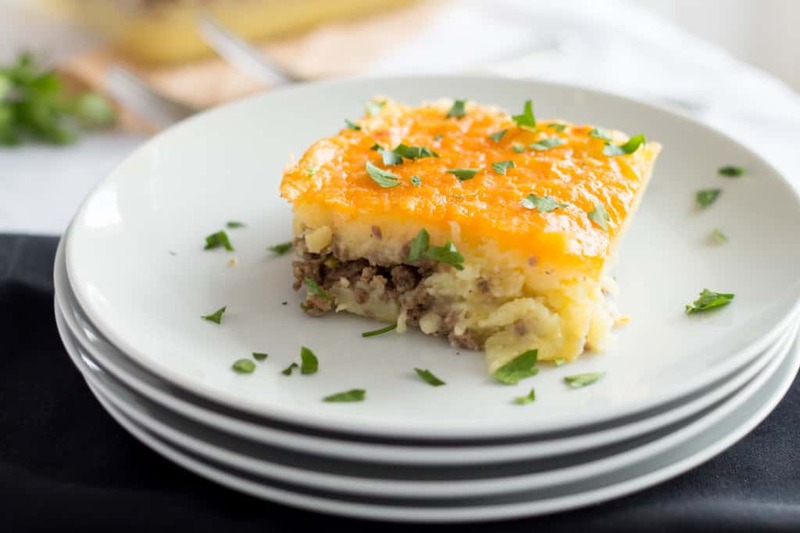 So not being Canadian or America, I am not too sure what a classic Shepherd pie would be but for sure in France, this is a hachi parmentier. This recipe was actually a request of Mini-Superman. When my Mom was visiting this summer she made some for the kids and since then, he has been asking for the “viande hâchée” of Mamie. It’s so sweet. He entered the kitchen and said “Mmhh it smells like when Mamie was here”. Now. How heart-melting is that? You tell me. I called my Mom right away. It melted hers too. Love DOES come the kitchen! - In a hot pan, pour the olive oil, the shallot, garlic and onion. Let it become golden. Add the ground beef and crumble it as it cooks until there is no more pink. Salt to taste. - In a bowl, put the warm boiled potatoes, the milk and the butter. Mash with a potato masher. Add salt to taste. In an oven dish, make a layer with half of the mashed potatoes. Make another layer with the ground beef and finally cover with the rest of the mashed potatoes. Spread the grated cheddar on top. Place in the oven for 15-20 minutes at 375F or until the cheese is melted and bubbly. I know French sounds always more fancy hehe! Thanks for stopping by Jess! So I lived in Quebec for a lot of years and I vaguely recall something about “pate chinois”…does that sound right? Is that shepherd’s pie too? Lol. This looks really really good. Love cheese on top of shepherd’s pie :-). That’s right, I do believe they have that in Quebec Sarah but they add peas and corn, which is a good idea actually to have some color. My mom always makes shepherds pie. and it’s divine. or it was divine until I realized – and was politely informed by my oh so eloquent English bf – that it wasn’t shepherds pie. in his words (he does have a PhD mind you) … “what you’re eating is efing cottage pie. 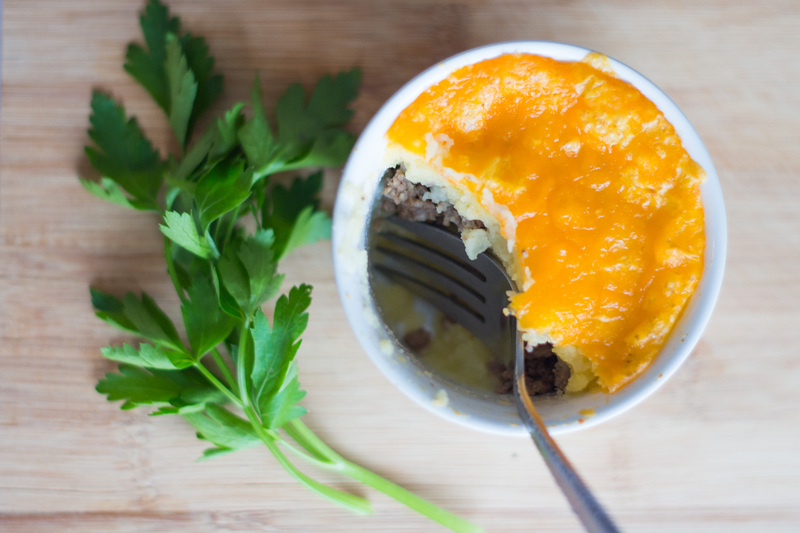 Shepherds pie efing has efing lamb, not beef. ef”. I was stunned. stunned that my mother had led her little lamb so astray but also at his vehemence as to the ingredients that go into a pie. the only time he gets that riled up is when I try to mimic his accent. which I just did. REGARDLESS …. we don’t care. you and me are good. not as good as this pie looks though. I’ve always wanted to try it with cheese. you make this for me, yes? honoured to be a part of FBC with you my love! I would love to make some for you Kristy 🙂 Ahah too funny about your boyfriend, he should know that the sky is the limit in the kitchen 🙂 You and I are definitely good! Take care! Now of course this is a British classic … but believe it or not I’ve never made my own. I know, scandalous! I also had no idea there was a French version! Thanks for this, Melanie! 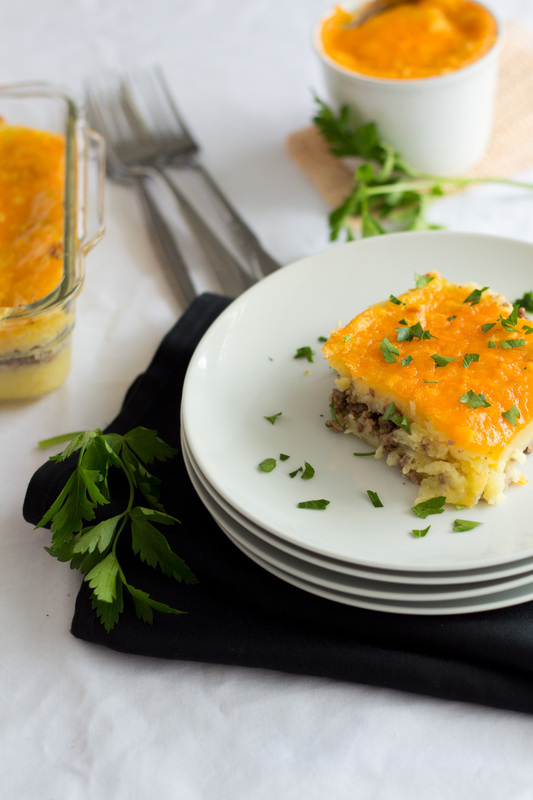 Love Shepards Pie – total comfort food for us! We always add peas to ours and sometimes sweet potatoe puree instead of white potatoes!